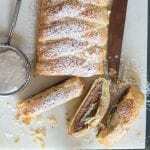 Coffee Pastry Cream, an amazing Italian filling for cakes or pies, made with strong coffee, fresh cream, eggs and milk. Quick and Easy. The best Pastry Cream. 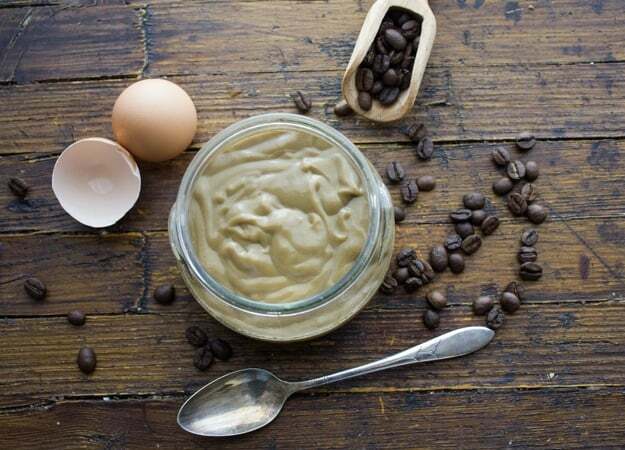 Tasty Creation – Coffee Pastry Cream quick and easy to make. This month our little group of 4 amazing bloggers (haha including myself) are back and this time we are sharing recipes using almost everybody’s favourite …. Coffee. Last month we shared our love for Chocolate, which I must say was my favourite, and now it’s coffee’s turn. 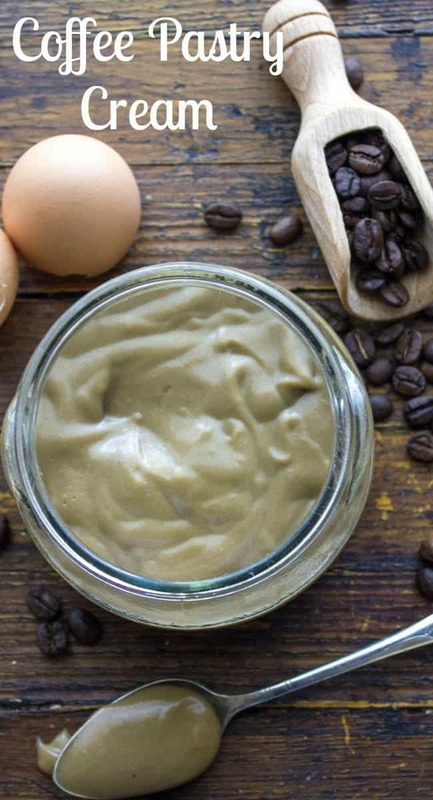 I have to tell you I actually came up with a couple of coffee recipes but decided to share Coffee Pastry Cream, because I have an amazing dessert you can make with this Pastry Cream coming up. I am starting to adore Italian Cream, no more lumpy cream for me. Smooth and Creamy as an Italian Bakery. 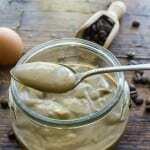 I thought since we are on the subject of Pastry Cream I would like to share with you my list on how to make the Perfect Pastry Cream. Mix dry ingredients before turning on the heat. And maybe one of the biggest tips Don’t throw away those egg whites, make some Lingue Di Gatto or even some Meringue Cookies or how about a nice light omelet? 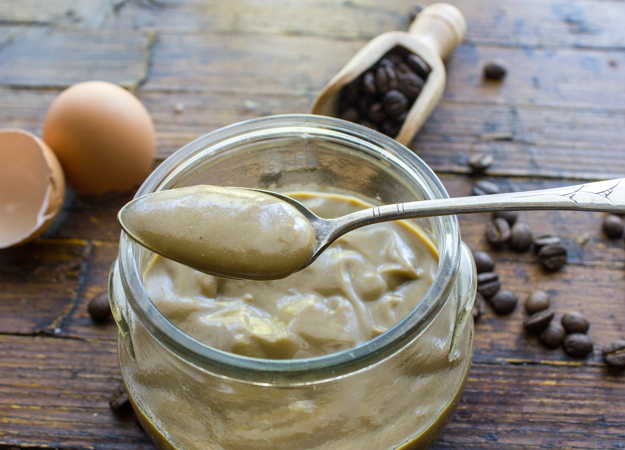 Fast and Easy Coffee Pastry Cream, a creamy delicious Italian coffee filling, perfect for filling cakes, pies and pastries. Heat the milk, cream and coffee until hot but do not boil, let cool to warm. 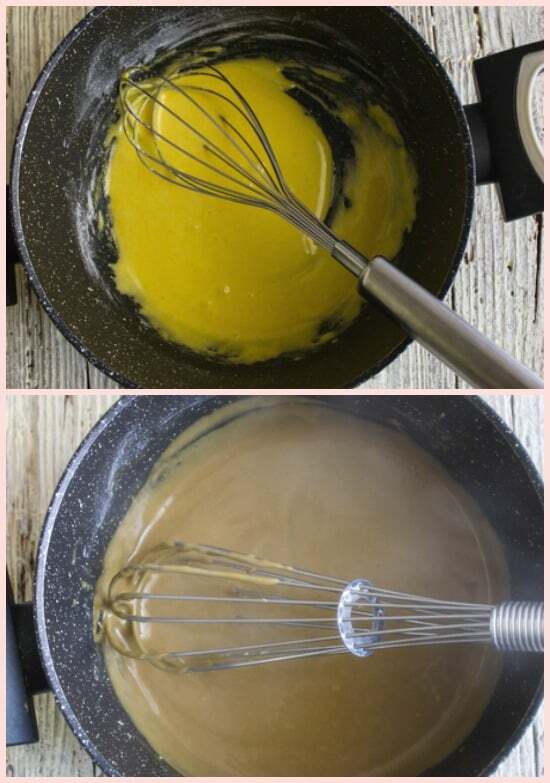 In a medium pot add egg yolks and sugar whisk to combine, whisk in flour, place over low heat add warm milk mixture and continue whisking (don't stop until very thick). 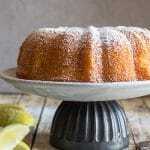 Pour into a clean bowl cover with plastic wrap and let cool to room temperature and refrigerate for at least 2 hours. Enjoy! 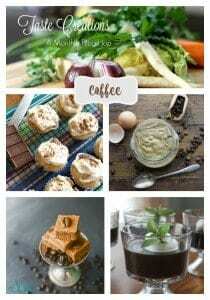 Welcome to this month’s Taste Creations Blog Hop where we will be sharing recipes using Coffee! The Taste Creations Blog Hop happens on the 1st Monday of Every Month! 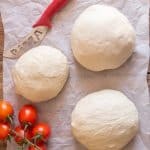 Every month, myself and 3 other bloggers challenge ourselves to make something with a chosen ingredient. We are excited to be on this journey together so please check out their Coffee posts below! Hi Ugne, Thanks so much, so glad you like it. And yes to tell the truth metric measurements are much easier! Happy New Year. What kind of cream is used in the recipe? Could it be made with all milk? Also, can vanilla be added? Hi Jillian, it should be whole or whipping cream (30% or more fat content). I have never made it with all milk so I wouldn’t advise it. You could add vanilla, add it when add the flour. Hope that helps. 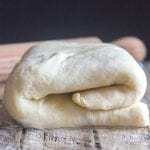 Hi Crystl I bake the regular pastry cream in the Pasticiotti and it does not turn runny at all. Instead of adding almond paste maybe you could remove a tablespoon of milk and cream or remove 1 1/2 tablespoons of coffee. Hope that helps. Yes thank you! I’m trying it today for our biz it’s a coffee bakery and this will be my first coffee flavored pastry. Should I let the mixture cool before putting it in the pastry to bake or could I skip that and add to it. Hi Crystl you should definitely let it cool and thicken in the fridge for a couple of hours before using. Hope that helps. Hi Nish, it will last 2-3 days in the fridge. Hope that helps. How much of the 1 cup of coffee pastry cream constitutes a serving…685 calories per serving seems high unless each serving is the entire cup. Hi Rose, the amount of calories is for the whole cup, so you would just divide it by how many servings you are using it for. Hope that helps. The coffee in the recipe…is it ground coffee or brewed coffee? Sounds delicious and perfect to creat a tiramisu flavor! Thanks Karen sounds good to me! Have a great weekend. Oh my gosh, I was literally just looking up recipes for Boston cream pie this morning. 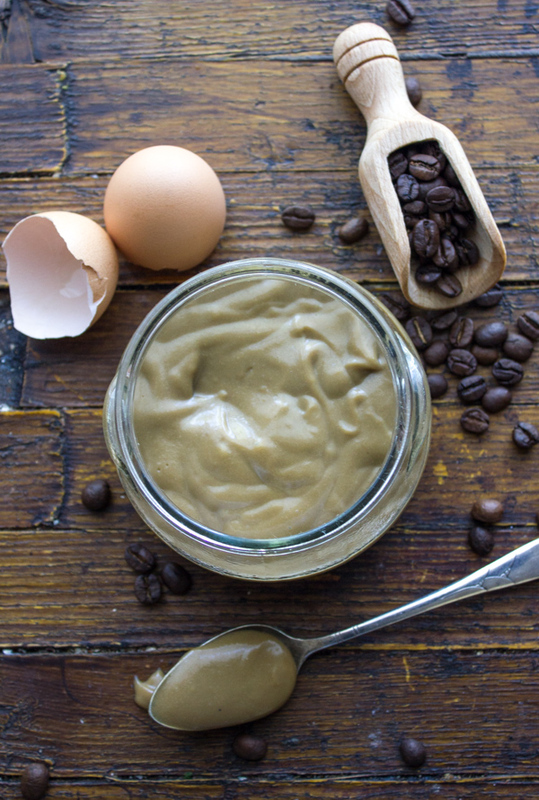 This coffee pastry cream would be amazing in the middle! Definitely going to try this soon! Hi Lucy, thanks, and wow that would be a great dessert. Oh the options are endless as to what to do with this coffee cream. I love it! Hi Kristen, haha thanks so many pasta dishes. Holy cow, this sounds AMAZING. I love real pastry cream, and I love coffee flavored things. You’re a genius. I’ve never heard of coffee pastry cream before! I love pastries, though, so I’d be willing to try this! (I am actually not a huge coffee fan, but actually enjoy a coffee flavor when it’s used to flavor desserts, etc.) It’s been fun participating in this blog hop with you! Hi Lauren, thanks and yes it has been fun, hope you try the cream.